Seahawks quarterback Russell Wilson has often stated that he doesn’t plan for his involvement in sports to end when his playing days are over. Friday, it was revealed that Wilson has made another major move toward expanding his sporting horizons when it was announced he will be an investor in a group attempting to bring Major League Baseball to Portland. Wilson’s wife, entertainer Ciara, is also an investor in the group, the Portland Diamond Project, which was announced last month. The group is hoping to either lure an existing team to Portland — the Oakland A’s have been mentioned as a possibility along with the Tampa Bay Rays — or an expansion team. Wilson was apparently approached a few weeks ago about his possible interest in joining the group by Craig Cheek, who is the president and managing director of the Portland Diamond Project. Wilson has known Cheek since the early days of his NFL career when he signed a deal with Nike — Cheek is a former vice president of Nike. 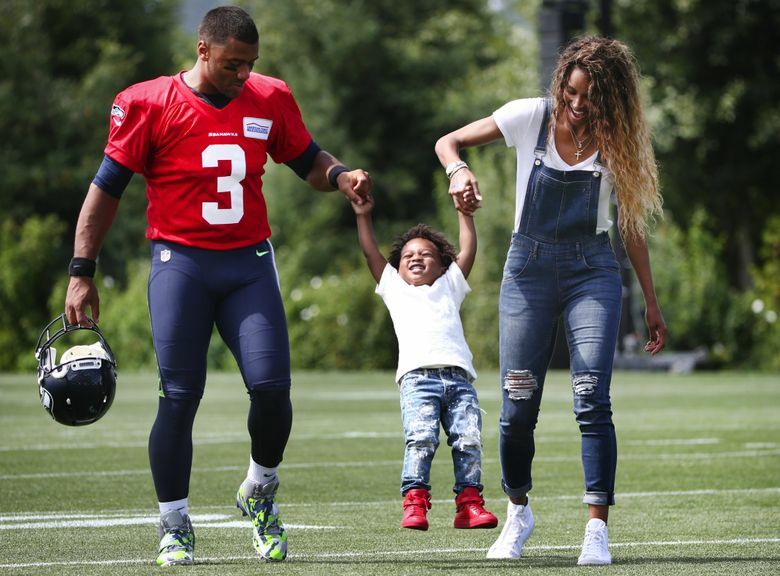 Wilson’s agent, Mark Rodgers, said in an interview with the Seattle Times Friday that Wilson and Ciara plan to be heavily involved in the group. Wilson also has been involved with the Seattle Arena group led by Chris Hansen, which has been attempting to build an arena in the SoDo district with the hope of luring NBA and NHL teams to the city. That effort appears on hold for now with the city renovating KeyArena and it expected that the NHL could announce an expansion team to Seattle in the fall. Oregonian columnist John Canzano on Friday portrayed Wilson’s involvement as helping the Portland group fend off any potential backlash from the Mariners. “Would the Mariners really try to squash the answered prayers of Seattle’s beloved starting quarterback?’’ Canzano wrote. “Given that Wilson has backed the NBA to Seattle effort, and is the certifiable face of the city, could the Mariners really make the distance of a three-hour drive to Portland that big of a territorial stink? Rodgers called the opportunity one that is simply too good for Wilson and Ciara not to pursue. Wilson’s enthusiasm for all things baseball is well known. He played at North Carolina State and two years in the minors with the Colorado Rockies before being drafted by the Seahawks in 2012. He has since had brief training camp stints with the Rangers and the Yankees, the latter coming earlier this year after his rights were traded by Texas to New York. “You can’t always pick and choose the perfect timing of a great opportunity and sometimes the great opportunity finds you,’’ said Rodgers, who has also handled a number of prominent baseball players through the years. “And I think Russell has positioned himself with the group (West2East Empire) that he works with and thinking strategically and globally has positioned himself to take advantage of these kinds of opportunities.